As busy working parents finding the time to socialise let alone have boozy nights out is something of a rarity, and if like me you moan you never go out but when it comes to it the thought of slobbing it in your PJs is actually a lot more appealing. Wrong ..if like us you have a full drinks shelf/ cupboard because at birthdays and Xmas people seem to think your favourite pastime is drinking then get togethers soon leads to us trying a few different tipples and flavours of gins, and of course bringing out the old friend Jack, then before you know it your passed out on the sofa in your not so glamorous PJs! When we get together with friends we have been known to bring out the cards against humanity game so when I was asked to review Drop Shot game for Find me a gift I knew it would make a great addition to one of our social gatherings and add some extra laughs to the evening. 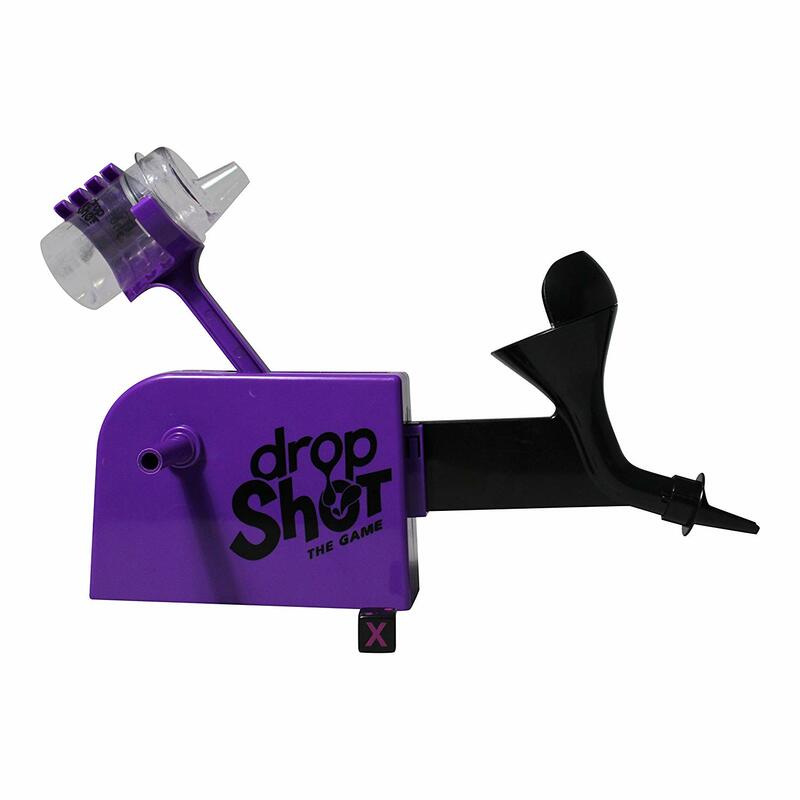 Drop Shot is a product that is brand new to the market and is a fun variation on the usual games involving shots of booze. You don’t necessarily need to use alcohol of course. If you don’t want to get ‘pie faced’ then you could instead mix up your own non-alcoholic drinks and watch as your friends are forced to down shots of your own concoctions; some delightful and others disgusting! The only limit is your imagination. Assembling the game is very straightforward and the rules are easy to follow: once a drink has been poured into the bottle simply roll the dice to determine how many times you must turn the handles (none, once, twice or “roll again”) turn the handles, prepare yourself for a shot and await your fate! Which turn of the handles will result in ‘one down the hatch’? Who knows, and that’s what makes it so much fun. Everyone will be lining up for their turn (or staggering, depending on how long you’ve all been playing). Yes folks, Drop Shot is one game you’ll want to play to lose as that means you get to drink loads of lovely shots – woohoo! This inventive game is perfect for a boozy party, a hen or stag night, or just for adding some wackiness to your nights in. Well there was no debate about whether to use alcohol or not, and it was really easy to set up and play, we had a good couple of hours playing laughing and we ended up using it as a 'reward' for whoever got the best cards in our cards against humanity game, combined together we laughed more than we have done in a long time and it is definitely one game that we will bring out again and again especially with the party season upon us. 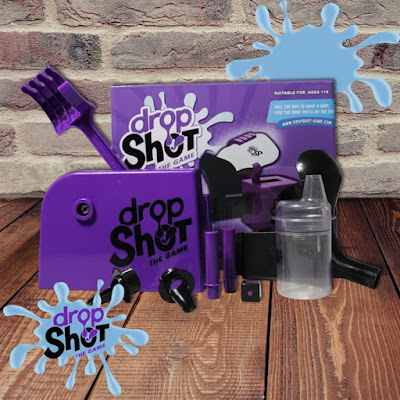 Drop Shot is the ideal pre-drinks game that combines alcohol with raucous fun. Great to play with two or more players, you’ll be laughing from start to finish, and you just may become a little drunk! A great addition to a night in or even as a warm up to a night out or works party, guaranteed to get the party started! !